Include a Snail Mail Gift Card? 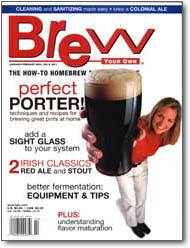 Brew Your Own is the largest circulation magazine for the homebrewing hobby in North America. 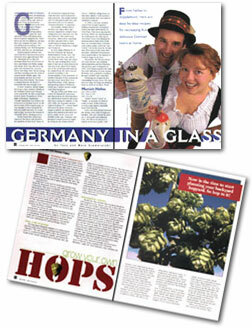 Each issue is packed with tips and techniques for all brewing levels - from beginner to expert. 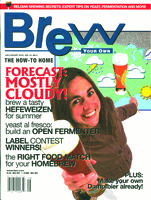 Brew Your Own gives you all the fun and practical information, recipes and projects to help you make great beer at home. 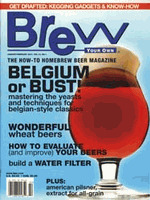 Order a risk-free 8-issue subscription from BeerBooks.com today and you'll save 22% off annual newsstand rates! 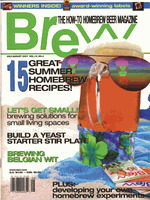 Regular columns include troubleshooting common problems with Mr. Wizard, brewing two great types of beer each issue in Style Calendar, homebrew recipes for your favorite commercial beers in The Replicator, refining your brewing with Techniques, building brewing gadgets in Projects and hearing tips, stories and recipes from fellow homebrewers in Homebrew Nation. Brew Your Own gives you practical, well-researched information in a fun format for all homebrewers, whether you brew your beer from extract kits or all-grain.